Donald Frey, a former senior production planning manager at Ford Motor Co., passed away on March 5th, 2010 in Evanston, Illinois from a stroke at the age of 87. 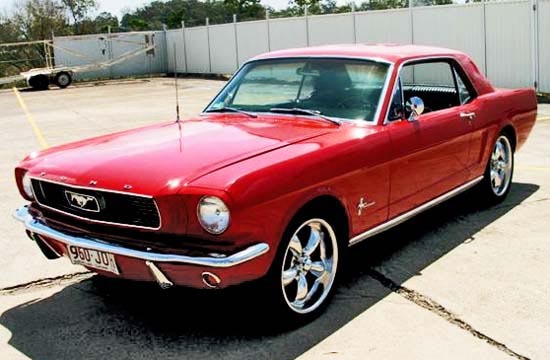 Frey worked with Hal Sperlich and Lee Iacocca at Ford to develop the Mustang, the iconic pony-car that helped usher in the age of the muscle car. Frey was in charge of the team in charge of developing an affordable, sporty car during the 1960’s. Because of Ford’s flop with the Edsel, Frey had trouble getting a standard budget for the project. With some savvy improvising, he used the platform and instrument panel from the already-established Ford Falcon to create the Mustang. Using these, he managed to create the program in only 18 months. When the Ford Mustang debuted in April of 1964, sales expectations were modest. Managers only expected about 90,000 units in the first year. Much to everyone’s surprise, the car sold over 400,000 units in its first year alone, helping to make it one of the most popular cars from the 60’s. Frey later succeeded Iacocca as the head of Ford Division in Ford Motorsports and helped maintain the company’s participation in both NASCAR and Le Mans. While still at Ford, he also helped develop the first Bronco. In 1968, Frey left Ford and became the head of General Cable Co. He later became chairman and CEO at Bell & Howell, where he aided in engineering the first CD-ROM. He also served a primary role in getting the film industry to release films on tape, thus ushering in the home-entertainment era. A person necessarily lend a hand to make severely articles I’d state. That is the very first time I frequented your web page and so far? I surprised with the analysis you made to make this actual put up extraordinary. Wonderful process!